Can improve your credit history. Purchase security, auto rental collision damage waiver, roadside dispatch, travel & emergency assistance services are available. Need to have a Explore Card Savings accounts. Only a few travel features. 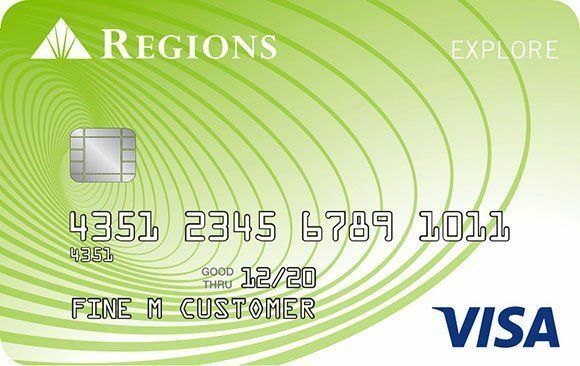 Regions Explore Visa can be a good opportunity for bad credits. The card doesn’t provide many services for consumers. However low annual fee, reasonable late payment fee, customization options and some common benefits are considerable. 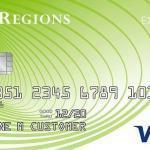 You can also check other credit card products of Regions Bank in our website. This card is also secured credit card of Regions Bank. Downsides of Regions Explore Visa are high APR for balance transfer, purchase and cash advance. Purchase and Balance Transfer APR is 24.74% at the moment. Cash Advance APR is 26.99%. Despite of high interest rates, the card is providing good fee options for cash advance and balance transfer. However the minimum fee ($10) is still high. If it was $5 for balance transfer at the least, it wouldn’t be above of minimum balance transfer fee. There is no foreign transaction fee for the card and this can be a good advantage for you if you purchase from abroad or from a foreign shop often. The annual fee of the card is low. It is $29 at the moment. There is no bonuses and rewards on this card at the moment. If the situation changes, we are going to update this page. We also recommend you to check card issuer website to learn more about this. There are much better alternatives which provides reasonable APR for consumers in our website in the same category. However you should calculate cash advances, balance transfers and purchases carefully because Regions Explore Visa provides good fees for those who wants to rebuild credit or build credit. If you are looking for a student card in Regions, you can also use this opportunity. However we can’t tell you it is the best to apply for a student. You can see some rates of the card below. You can read some user reviews and take a look at our editor scores for Regions Explore Visa. I am very pleased with this card. Well, when it is compared with other Regions cards, it is not that perfect but I am glad that I use it. It could be an awesome card for me if it was giving some rewards.